Have you heard of Kate Aspen? It's a really great site that is filled with beautiful ideas and unique gifts for baby showers, weddings, bridal showers.... something for those really memorable occasions. Kate Aspen favors and gifts pair classic merchandise with trend-right colors, themes, and designs. Always leaders in product development, Kate Aspen designers are committed to creating an original product mix. Over the last eight years the Kate Aspen line has expanded to include personalized favors, wedding décor, and small gifts. As always, Kate Aspen products are gift ready and ready to add a finishing touch to your special day. 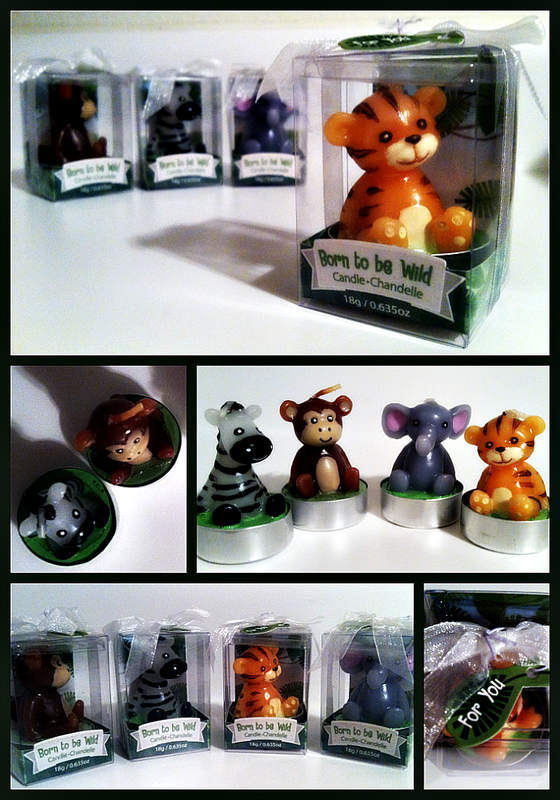 I was given the opportunity to receive and review the Born To Be Wild candle collection for a baby shower or birthday party favor. They are very adorable and sure make a great gift for your guests. They are very cute and very nicely detailed. The candles I got were just too perfect. I didn't even want to use them or open them. They come packaged in such a cute little gift box that there is no need to even wrap them. However, if you are looking for the perfect little gift wrap or just an extra touch, you can find matching gift boxes themed perfectly for these little candles. And to top off the decorations, why not use the matching place card holders as well? How cute at the table setting for your guests. Can't get enough of the Kate Aspen product line? Follow their site on all your social media accounts.